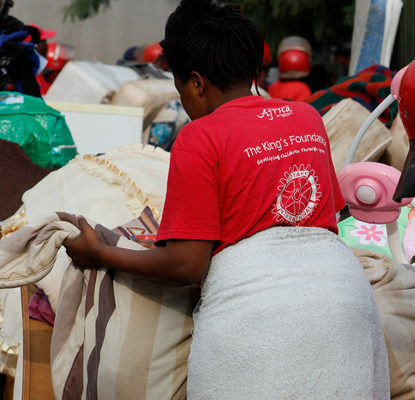 An evicted tenant carries her belongings away from the Red Ants. 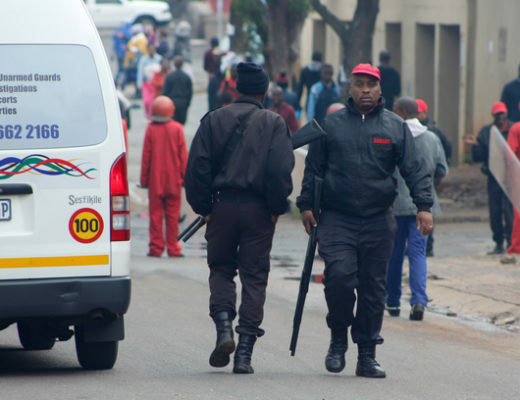 The streets of Windsor East were painted red yesterday as Red Ant Security Services moved in to evict residents from flats. 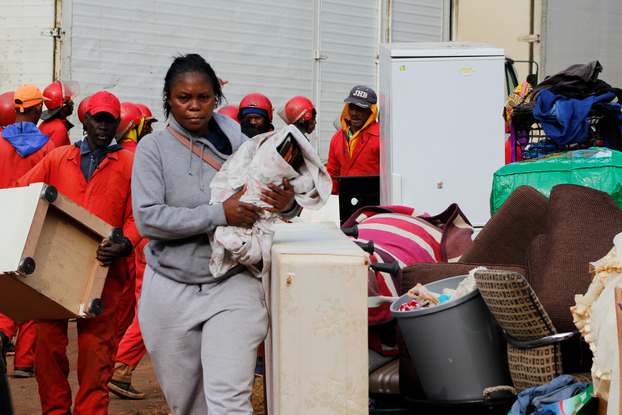 The streets of Windsor East were painted red yesterday as the all too familiar outfits of the Red Ant Security Services moved into evict residents from flats. 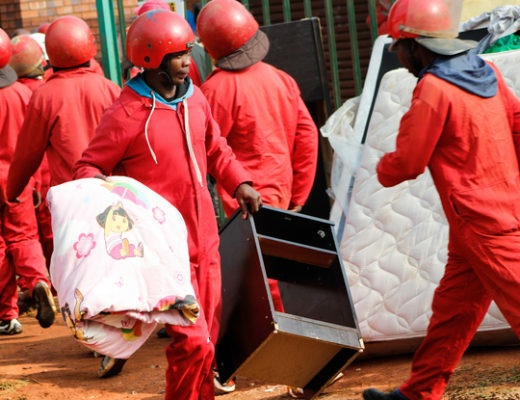 In an early morning operation on 17 April, the Red Ants broke down doors flat by flat, emptying every last scrap of furniture, clothes and electronics from the dwellings, Randburg Sun reports. 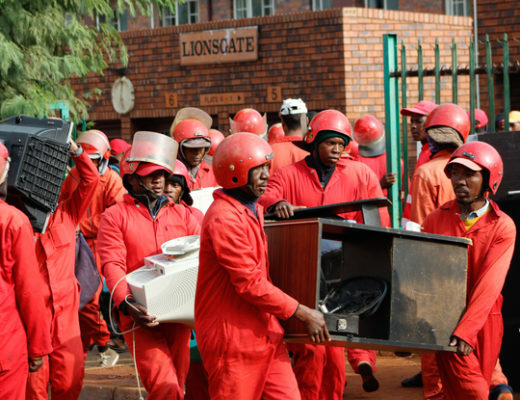 The Red Ants remove electronic goods from flats in the Lionsgate complex on Countesses Avenue. Police arrive on the scene on Countesses Avenue along with private security officers. 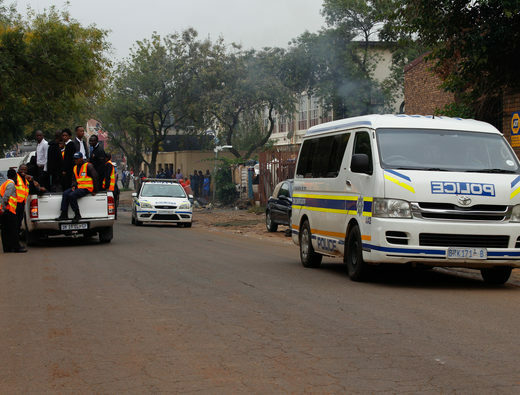 According to Linden police’s Captain Alex Vermaak, the high court ordered residents of 70 flats in 19 buildings in the Windsor East area to be evicted. He added residents were given a prior warning about the evictions well in advance on 9 April. “Tenants failed to comply with their rental contracts … The occupants have been paying their rent into the account of the Windsor Community Recovery Movement, which the court found to not be in order,” said Vermaak. 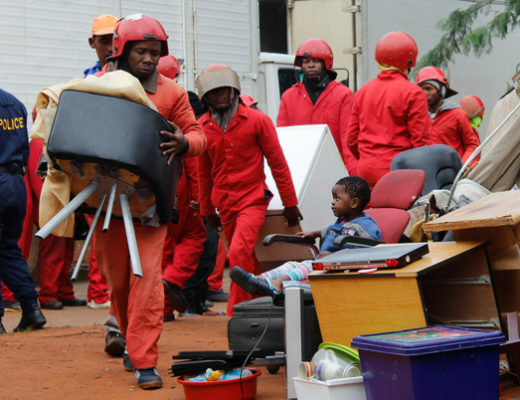 As the Red Ants remove furniture from flats, a confused child looks on. Red Ant’s private security patrols the area to make sure there are no altercations. An evicted tenant sorts through her belongings. 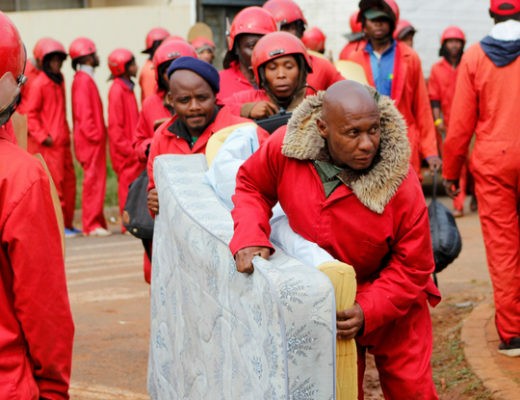 The Red Ants remove a bed on Countesses Avenue. 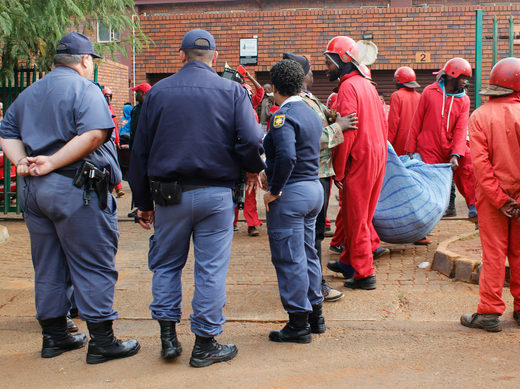 Members of the Linden police observe the process of eviction at the Lionsgate complex. A Red Ant carries a bedside table and a Dora the Explorer blanket.